I would like to see Avengers: Infinity War. It is the sequel to 2012’s The Avengers and 2015’s Avengers: Age of Ultron, and the nineteenth film in the Marvel Cinematic Universe (MCU). It features Robert Downey Jr. Chris Hemsworth, Mark Ruffalo, Chris Evans, Scarlett Johansson, Benedict Cumberbatch, Don Cheadle, Tom Holland, Chadwick Boseman, Paul Bettany, Elizabeth Olsen, Anthony Mackie, Sebastian Stan, Danai Gurira, Letitia Wright, Dave Bautista, Zoe Saldana, with Josh Brolin, and Chris Pratt. Elsewhere The Guardians of the Galaxy rescue Thor who realizes that Thanos is also seeking the Reality Stone, which is in the possession of the Collector at Knowhere. So The Avengers work with the Guardians of the Galaxy to stop Thanos from amassing the all-powerful Infinity Stones. Rocket and Groot accompany Thor to Nidavellir seeking a way to kill Thanos . Peter Quill, Gamora, Drax and Mantis find Thanos at Knowhere Where he kidnaps Gamora, his adoptive daughter, who is coerced into revealing the location of the Soul Stone where Red Skull informs Thanos how to obtain it. Nebula escapes and requests the remaining Guardians meet her on Titan, Thanos’ homeworld. Stark and Parker attempt to rescue Strange. Venturing to Titan, they meet Quill, Drax, and Mantis and forms a plan to confront Thanos and remove the Infinity Gauntlet. However this does not go well and Strange is coerced into exchanging the Time Stone to save Tony Stark and Thanos Escapes. Upon arriving in Wakanda, Rogers reunites with Bucky Barnes. The Avengers task Shuri with extracting the Mind Stone. Thanos’ army invades and the Avengers mount a defense alongside King T’Challa and the Wakandan forces. Banner, Thor, Rocket, and Groot rally the defenses. Midnight, Obsidian and Glaive are killed, their army destroyed. Maximoff destroys the Mind Stone, however Thanos uses the Time Stone undoing her actions and retrieves the stone from Vision, and It is up to the rest of the team to stop Thanos activating the Infinity Gauntlet in an exciting showdown…. Workers’ Memorial Day, International Workers’ Memorial Day or International Commemoration Day (ICD) for Dead and Injured or Day of Mourning takes place annually around the world on April 28, an international day of remembrance and action for workers killed, disabled, injured or made unwell by their work. Workers’ Memorial Day is an opportunity to highlight the preventable nature of most workplace incidents and ill health and to promote campaigns and union organisation in the fight for improvements in workplace safety. The slogan for the day is Remember the dead – Fight for the living. Although April 28 is used as the focal point for remembrance and a day of international solidarity, campaigning and other related activities continue throughout the year right around the world. In 1970, the AFL-CIO declared April 28 “Workers’ Memorial Day” to honour the hundreds of thousands of working people killed and injured at work every year. Following the passage of the Occupational Safety and Health Act by the U.S. Congress in 1970, the Occupational Safety and Health Administration was formed in 1971. In 1984, the Canadian Union of Public Employees (CUPE) did the same in Canada. The Canadian Labour Congress declared an annual day of remembrance in 1985 on April 28, which is the anniversary of a comprehensive Workers’ Compensation Act (refer to the entry Workplace Safety & Insurance Board), passed in 1914. In 1991, the Canadian parliament passed an Act respecting a National Day of Mourning for persons killed or injured in the workplace, making April 28 an official Workers’ Mourning Day. Many Workers’ Memorial Day events have been organised in North America, and worldwide. Since 1989, trade unions in North America, Asia, Europe and Africa organised events on April 28. The late Hazards Campaigner Tommy Harte brought Workers’ Memorial Day to the UK in 1992 as a day to ‘Remember the Dead: Fight for the Living’. In the UK the campaign for Workers’ Memorial Day has been championed by the Hazards Campaign and taken up by trade unions, adopted by Scotland’s TUC in 1993, followed by the TUC in 1999 and the Health and Safety Commission and Health and Safety Executive in 2000. April 28 is recognised by the International Labour Organisation (ILO) and the International Trade Union Confederation (ITUC) as International Workers’ Memorial Day. In 1996 the ICFTU commemorated Workers’ Memorial Day and began to set annual ‘themes’. For 2006 the ICFTU theme was Union workplaces: safer workplaces, focusing on a global ban on asbestos and increased awareness of HIV/AIDS. During 2001 the ILO, part of the United Nations, recognised Workers’ Memorial Day and declared it World Day for Safety and Health at Work and in 2002 the ILO announced that April 28 should be an official day in the United Nations system. Workers’ Memorial Day is recognised as a national day in many countries including: Australia, Argentina, Belgium, Bermuda, Brazil, Canada, Dominican Republic, Gibraltar, Ireland, Luxembourg, Panama, Peru, Portugal, Spain, Thailand, Taiwan, United States and the United Kingdom. Trade unions in other countries including Benin, Czech Republic, Finland, Hungary, Malta, Nepal, New Zealand, Romania and Singapore seek government recognition for Workers Memorial Day. Workers’ Memorial Day is now an international day of remembrance of workers killed in incidents at work, or by diseases caused by work, and annually on April 28, Workers’ Memorial Day events are held throughout the world. Some examples include active campaigning, and workplace awareness events. Public events include speeches, multi-faith religious services, laying wreaths, planting trees, unveiling monuments, balloon releases, raising public awareness of issues and laying out empty shoes to symbolise those who have died at work. World Day for Safety and Health at Work also takes place every 28 April to raise awareness of the consequences of work-related accidents and diseases; and to stress the importance of occupational safety and health (OSH) at work and provide support for the improvement of international working conditions and labour standards. He remains a hugely popular author to this day and many of his books have occupied top places on the best-seller list. According to the Bookseller’s Pocket Yearbook from 2005, in 2003 Pratchett’s UK sales put him in 2nd place behind J. K. Rowling and in the paperback sales list Pratchett came 5th, behind James Patterson, Alexander McCall Smith, John Grisham and J. R. R. Tolkien). His sales in the UK alone are more than 2.5 million copies a year. In 1998 Pratchett was appointed Officer of the Order of the British Empire (OBE) “for services to literature” . In addition, he was knighted in the 2009 New Year Honours. In 2001 he won the Carnegie Medal for his children’s novel The Amazing Maurice and his Educated Rodents. In December 2007, Pratchett publicly announced that he was suffering from posterior cortical atrophy, a variation of Alzheimer’s disease and, subsequently, made a substantial public donation to the Alzheimer’s Research Trust, and filmed a programme chronicling his experiences with the disease for the BBC. Sadly though Sir Terry Pratchett OBE, passed away on Thursday, 12 March 2015 at the age of 66 after a lengthy battle with the disease at his home surrounded by his family and with his cat sleeping on his bed. His latest novel “The Shepherd’s Crown” was published posthumously in 2015. American novellist Harper Lee was born in Monroeville 28 April 1926. She was the youngest of the four children born to lawyer Amasa Coleman Lee and Frances Finch Lee. She grew under the stresses of segregation and as a child shared summers with another aspiring writer, Truman Capote, who annually came to stay in the house next door to hers. She studied at the University of Alabama from 1945 to 1949 before moving to New York, where she began writing fiction in her spare time. Lee eventually signed with an agent in 1956. Capote later invited her to accompany him to Holcomb, Kansas, to help him research his groundbreaking 1966 crime book In Cold Blood. 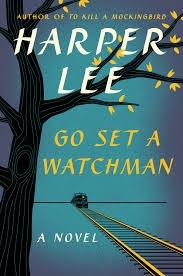 In 2015 a second novel Go Set a Watchman was published. 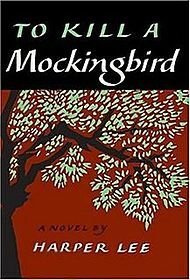 It was originally written in the mid-1950s and is set some twenty years after the events in To Kill a Mockingbird, and is written from the point of view of an adult Scout (Jean Louise) Finch who travels from New York to Maycomb, Alabama, to visit her father, Atticus Finch, And the title alludes to Scout’s view of her father, Atticus Finch, as the moral compass (“watchman”) of Maycomb. The novel sees Scout “forced to grapple with issues both personal and political as she tries to understand her father’s attitude toward society and her own feelings about the place where she was born and spent her childhood. Go Set a Watchman has since become a global success winning many awards. Sadly Lee’s health declined and she lived for several years in a nursing home less than a mile from the house in which she had grown up in Monroeville, Alabama – the setting for the fictional Maycomb of her famous bestselling 1961book To Kill a Mockingbird, which became a best seller and sold more than 40 million copies around the world and earned her a Pulitzer prize. Lee was also awarded the presidential medal of freedom in 2007 by George Bush. She sadly died February 19 2016 at the age of 89 and will be sadly missed. Italian industrialist and Manufacturing magnate Ferruccio Elio Arturo Lamborghini was born on 28 April 1916, to grape farmers from the comune of Renazzo di Cento in the Emilia-Romagna region of Northern Italy. His mechanical know-how led him to enter the business of tractor manufacturing in 1948, when he founded Lamborghini Trattori, which quickly became an important manufacturer of agricultural equipment in the midst of Italy’s post-war economic reform. In 1963 Ferruccio Lamborghini founded Automobili Ferruccio Lamborghini S.p.A. in 1963 in Sant’Agata Bolognese, Italy, with the objective of producing a refined grand touring car to compete with offerings from established marques such as Ferrari. The company’s first models were released in the mid-1960s and were noted for their refinement, power and comfort. Lamborghini gained wide acclaim in 1966 for the Miura sports coupé, which established rear mid-engine, rear wheel drive as the standard layout for high-performance cars of the era. Lamborghini grew rapidly during its first decade, but hard times befell the company when sales plunged in the wake of the 1973 worldwide financial downturn and the 1973 oil crisis. Lamborghini was subsequently sold to the Mimrams And The firm’s ownership changed three times after 1973 in the wake of the Oil Crisis and a Worldwide Finacial Downturn including a bankruptcy in 1978. the Mimrams finally sold Lamborghini to the Chrysler Corporation who took control in 1987. 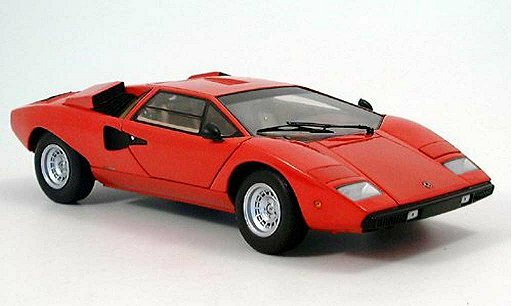 They replaced the Countach with the Diablo and discontinued the Jalpa and the LM002. However Chrysler found themselves unable to operate Lamborghini profitably, so they sold Lamborghini to Malaysian investment group Mycom Setdco and Indonesian group V’Power Corporation in 1994. Sadly Lamborghini’s financial difficulties continued throughout the 1990s, until Mycom Setdco and V’Power sold Lamborghini to the AUDI AG subsidiary of Volkswagen Group on 27 July 1998. Audi’s ownership marked the beginning of a period of stability and increased productivity for Lamborghini. Sales increased nearly tenfold over the course of the 2000s, peaking with record sales in 2007 and 2008. Unfortunately The world financial crisis in the late 2000s negatively affected all luxury car makers worldwide, and caused Lamborghini’s sales to drop nearly 50 percent. Lamborghini’s Sant’Agata Bolognese production facility produces V12 engines and finished automobiles. 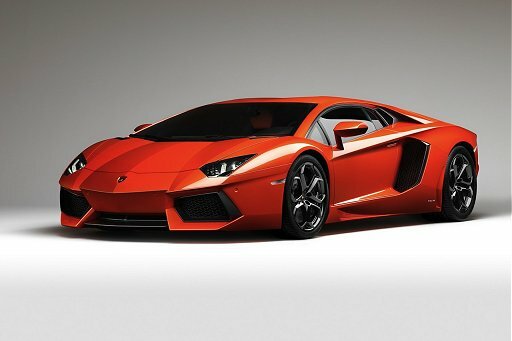 Lamborghini’s current production vehicles are the V10-powered Gallardo and the V12-powered Aventador. Both production models are available in a variety of regular and limited-edition specifications as well as Roadster versions. Lamborghini also produce the Reventon and the Huracan, which is the replacement for the Gallardo plus a variety of Concept models. 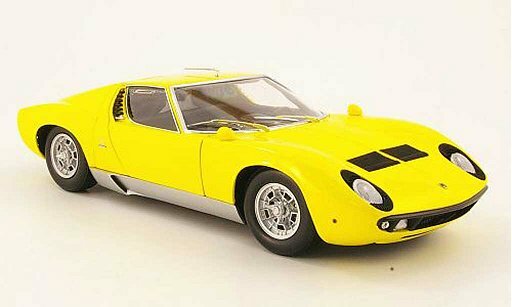 In 1969 Lamborghini also founded a fourth company, Lamborghini Oleodinamica, but sold off many of his interests by the late 1970s and retired to an estate in Umbria, where he pursued winemaking. Lamborghini Sadly passed away on February 20, 1993 At 76 years, at Silvestrini Hospital in Perugia after suffering a heart attack fifteen days earlier. Lamborghini is buried at the Monumental Cemetery of the Certosa di Bologna monastery. Today all of Ferruccio Lamborghini’s companies continue to operate today in one form or another. His son, Tonino, designs a collection of clothing and accessories under the Tonino Lamborghini brand. Ferruccio’s daughter, Patrizia Lamborghini, runs the Lamborghini winery on his Umbria estate. A museum that honors Lamborghini’s legacy, the Centro Studi e Ricerche Ferruccio Lamborghini, also opened in 2001.